The FedEx Shanghai International Express and Cargo Hub at Shanghai Pudong International Airport was pegged as a more than $100 million investment when it was launched in 2012. It more than triples FedEx’s presence at Shanghai Pudong, which was the world’s third largest airport by cargo volume in 2016. Shanghai trailed No. 1 Hong Kong and No. 2 Memphis International Airport in 2016. Figures for 2017 aren’t out yet. The new facility was begun at a time when Shanghai was expected to eclipse Memphis and Hong Kong in cargo volume by 2015. That didn’t happen after Asia’s growth rate slowed. FedEx said the Shanghai airport handled about 3.8 million tons of cargo in 2017. The new hub exceeds the combined size of FedEx’s major sorting and handling facilities in Osaka, Japan, and Guangzhou, China. 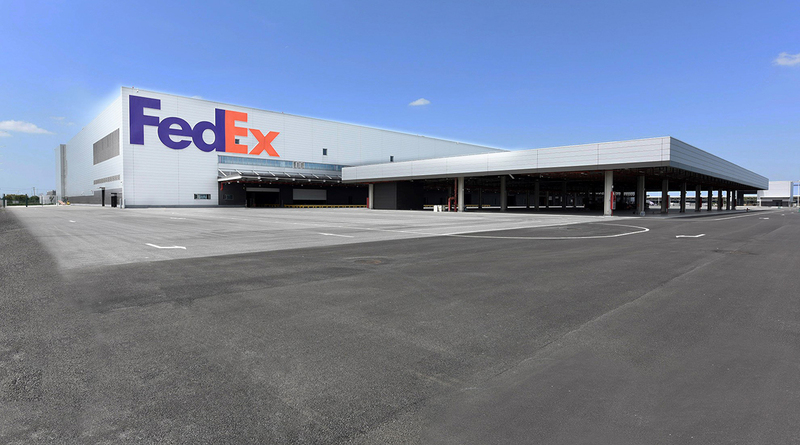 It’s more than a third as large as the FedEx Express world hub at Memphis International Airport, which has grown to 3.7 million square feet since 1973. The Memphis-based company said the new Shanghai hub uses cutting-edge technology and innovation to enhance operational efficiency. It includes a dedicated customer care center and cold chain facilities to handle temperature-sensitive items such as perishables and health care products. “The Asia Pacific region remains the growth driver of the world,” said David Cunningham Jr., president and CEO of FedEx Express, in a release. “This new hub adds yet another major facility to our already comprehensive regional and global network, giving our Asia Pacific customers reliable access to international markets,” Cunningham said. FedEx operates 66 flights a week in and out of the Shanghai hub, including a Boeing 777 nonstop to Memphis. The fully automated sorting system boasts a capacity of up to 36,000 packages and documents an hour. The Memphis hub’s capacity is 475,000 items an hour. FedEx says the new facility has technology to send real-time information such as flight and shipment status to customers’ mobile devices. It has dedicated areas for China customs, entry-exit inspection and quarantine to improve the customs clearance process. “The FedEx Shanghai Hub marks another milestone that helps support the economic growth of east China. By continuously enhancing our services and facilities, we can provide our customers an edge in the fast moving and ever-changing business environment,” said Karen Reddington, president of FedEx Express’ Asia Pacific division.